Liad Agmon from Bessemer Venture Partners stopped at GreenQloud and gave a talk about his entrepreneurial career, stories and lessons learnt. It was very entertaining, insightful and inspiring. 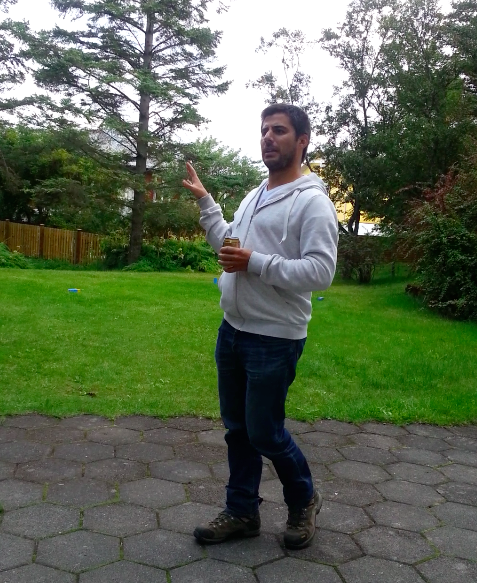 I think we have another potential speaker for Startup Iceland 2013. The one common element through all his talk was the emphasis he put on relationship building. When you are working on a product or service or your startup or another company or whatever end of the day it is always people who are on the other side of what you are doing. Building good relationships and ensuring that you are helping the other is the key to success even in Startups. He has had a lot of success and challenges for someone so young but he has learnt and build character by focusing on people and relationships. The major takeaway for me was to make sure you take the time to turn all stones, meet people, build relationships and hustle when there are roadblock… oh, make sure that you are nice to the secretaries because they are the ones who control the calendars and schedule of important people :). I wrote about the Struggle, Liad’s talk made contextual sense to the overall philosophy of the Struggle. You always have a move, so go and make one.